What a fantastic way to help those less fortunate this Christmas. Plenty of patterns provided including this very cute string of mini jumpers. 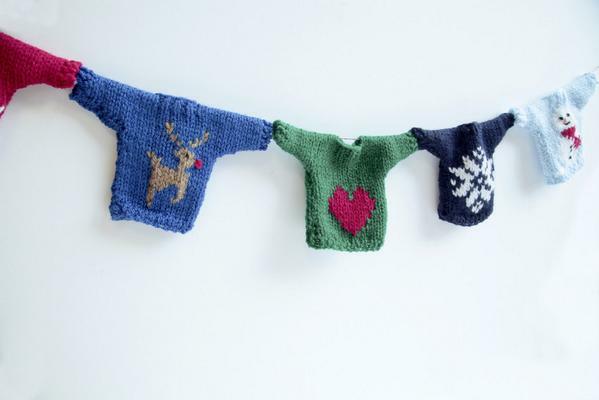 Create For Christmas Jumper Day | Christmas Jumper Day | Save The Children UK. This entry was posted in Uncategorized and tagged Christmas, Christmas Jumper by Craft Eccentrics. Bookmark the permalink.